Despite the strikeout, Beau Vaughan has plenty reason to smile after finally getting his first professional at-bat in his 11th season. The planets aligned for the Revolution to have a short bench for the July 12 game against Bridgeport, with Johan Limonta departing for the Mexican League the prior evening. The team was also without shortstop Wilson Valdez on the 12th, an excused and expected absence, as he was honored at the Nationals-Phillies game as part of the Phillies’ “10 Years of Citizen’s Bank Park” series. Valdez, who played the 2010 and 2011 seasons with the club, was brought back to commemorate the game where he pitched the 19th inning in on May 25, 2011 against the Reds. Valdez started the game at second base, tossed a scoreless inning, and wound up the winning pitcher when a Raul Ibanez sac fly scored Jimmy Rollins in the bottom of the 19th for a 5-4 Phillies win. It marked the first time a player started in the field, moved to pitcher and wound up with the winning decision since 1921- when Babe Ruth did it. So Valdez threw out the first pitch tonight in Philadelphia and was honored for the achievement as they celebrate a decade of their ballpark. He has been adamant about not pitching again, in order to keep his career ERA at 0.00, and his career record an un-blemished 1-0. His absence had the blessing of Manager Mark Mason, especially so after the Revolution wrapped up a playoff spot by winning the first half. This left York with the shortest of bench however, with the only extra player the second catcher, Alberto Espinosa. When left fielder Jason Repko sustained an injury in the third inning, Mason’s hands were tied. 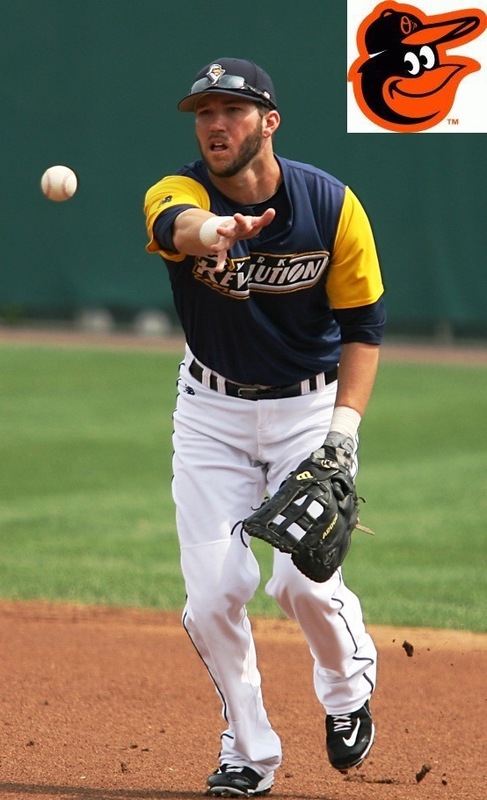 No, the York Revolution have not been purchased by the Houston Astros. They have however given solace to anyone that misses the old-school Astros striped uniform, aside from the occasional throwback day in Houston. Indeed, that classic design was the inspiration for the Revolution’s new alternate jerseys by New Balance, the team’s on-field outfitter. It will be worn at home and on the road. After being debuted at Fan Fest, the Revs wore the new tops during a game for the first time on June 1, a 4-0 win at Southern Maryland. 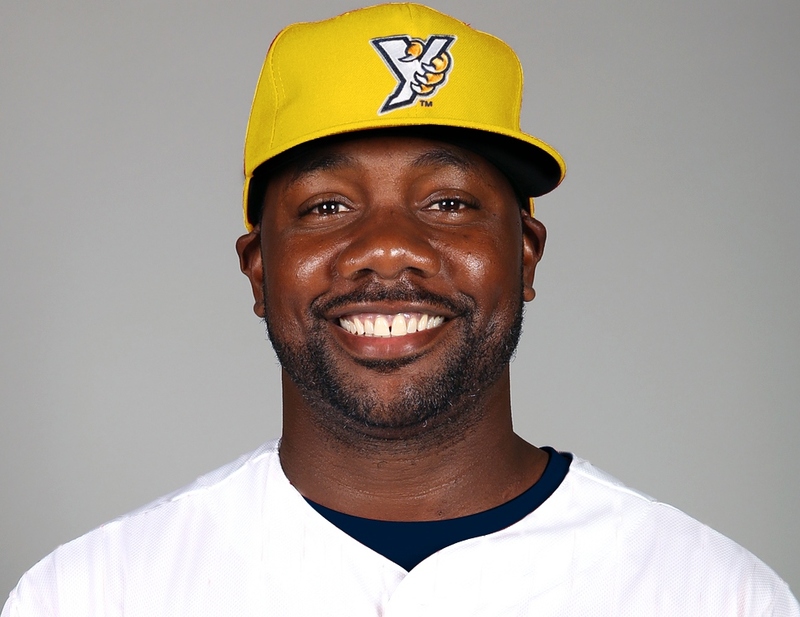 Corey Thurman parlayed the look into seven shutout innings, allowing just three hits in the process. As we all know, baseball players are never superstitious, therefore I’m sure this jersey (with Corey Thurman in it) tossing a shutout in its first game won’t play any role in Thurm or the rest of the team wanting to wear it often the rest of the season. 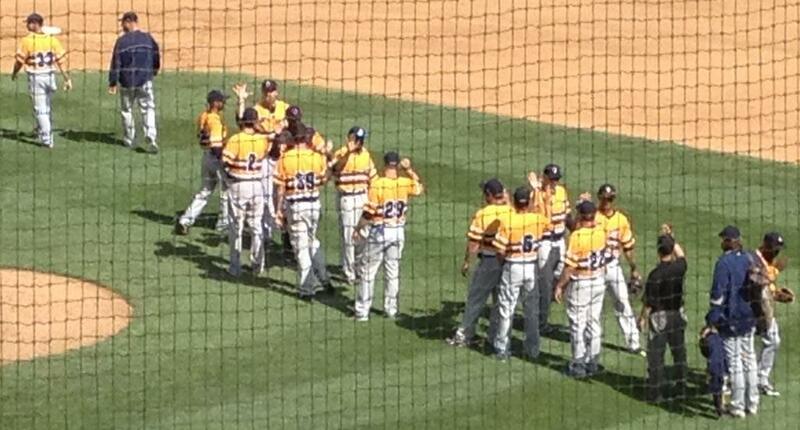 The photo of a colorful high-five line after the game is courtesy of Darrell Henry. After much confusion yesterday (1/29) on Twitter, it is indeed true that first baseman Chad Tracy, the one who played in 59 games for the Revolution last season and NOT the Major League veteran who played in 92 games for the Washington Nationals in 2013, has signed with the Baltimore Orioles. MASN Orioles reporter Roch Kubatko finally cleared things up, although we object to use of the phrase “other” Chad Tracy. We liked our Chad Tracy best. Once it came out that Baltimore had signed a first baseman named Chad Tracy, Twitter was flooded with reporters confirming it was the elder Tracy, who has 938 games of Major League experience dating back to 2004. This was due to the fact most weren’t aware that our Chad Tracy is also a corner infielder, leading to the mix-up. You know what they say about when you assume. The dreaded off-season has arrived. But fear not, despite news being a little slower this time of year, we have plenty of content to keep you occupied here at BlogToBlogChamps. Each Monday, we’ll publish a feature from the 2013 York Revolutionary Times, the official game day magazine of the York Revolution for you to re-enjoy, or read for the first time in case you missed it at the ballpark. This week, we look back at some eccentric General Manager hi-jinks in York and beyond. Often, team struggles can be turned into a positive for an organization. The York Revolution front office staff awoke for their game day meeting on the morning of Saturday, May 24, 2008 to a sun-splashed York, PA. Despite the recent struggles of the second-year Revolution, who were 8-19 at the time, at least this was one day where the staff wouldn’t have to worry about the tarp. No rain was in the forecast. Once all the details had been discussed for that night’s game, Matt O’Brien, then Revs General Manager proclaimed: “We’re bad right now, we gotta do something. What are we gonna do?” he said in challenge to the rest of the staff. 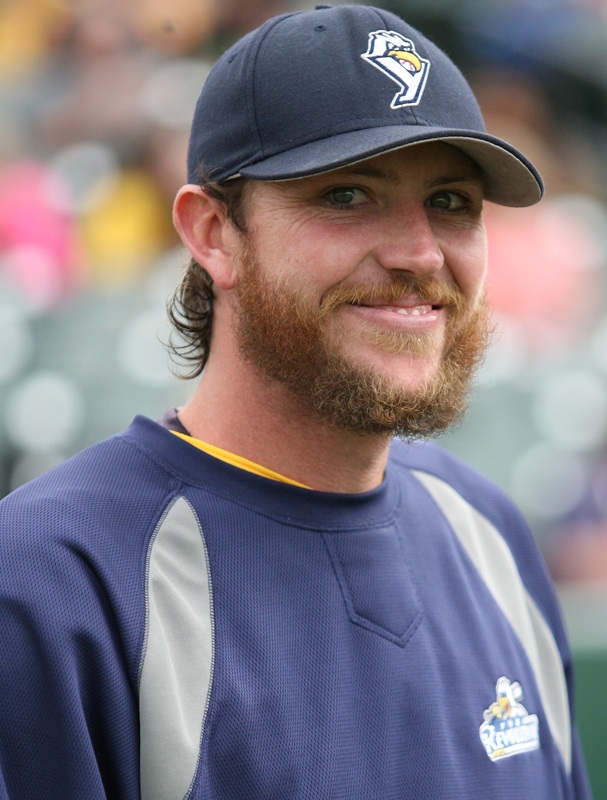 Knowing that nobody in the room had anything to do with assembling the team, the staff of minor league baseball veterans and quick-learning newbies immediately knew what O’Brien meant. It was time to break up a losing streak. Former Revolution outfielder/designated hitter Jose Herrera is the latest alum to pop up in a blitz of December, post-winter meeting moves. Although Herrera retired as a Rev following the 2011 season, he is remaining in the game. Herrera’s first stop in coaching will be as hitting instructor for the Washington Nationals entry in the Rookie-level Dominican Summer League. If you’re unfamiliar, it’s basically the same age-range and level of play as the Appalachian or Gulf Coast Leagues, but for Spanish-speaking players between the ages of 17 and 20 who have recently signed their first pro contract. Like the other rookie leagues, they play between a 65 and 70 game season beginning in June. The game was in University Park, PA, and the York Revolution were about 240 miles away in Southern Maryland.